Coda Automotive is in the news with assembly of the companies first production electric car, so we take a look at the company’s claim their electric car offers the best value proposition of electric cars in its class. A Coda, a Focus Electric, an i-Miev, a Leaf, a Model S, and a Volt walk into a bar, the bartender asks them which offers the best value in electric cars, and they each point to themselves. While this falls flat as a joke, the electric automakers are following strategies that deliver a range of price and value tradeoffs. While environmental and energy security concerns are top issues for many prospective electric car owners, to reach the mainstream car buyer means delivering a powerful value proposition. Because all the vehicles just named are more expensive than their non-electric counterparts, the value proposition becomes harder to grasp. The higher up-front cost has to be outweighed by savings on maintenance and fuel. 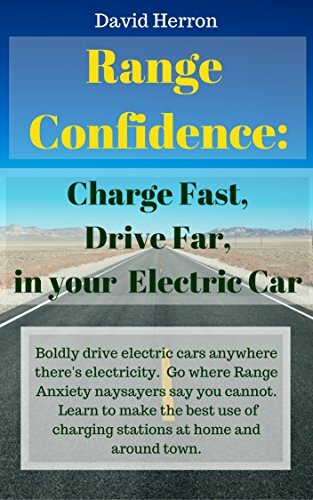 It’s been shown that electric cars are cheaper to fuel, both because electricity is a less expensive fuel than gasoline, and because electric cars are far more efficient with their energy than gasoline. But does that add up to making total cost of ownership less expensive? The answer to that depends on which way the price of gasoline goes. Let’s see how the various electric cars stack up against each other on these points. The driving range of electric cars range from 62 miles for the Mitsubishi i-Miev up to 300 miles for the Tesla Model S. Coda occupies an interesting sweet spot in driving range. At the high end is, of course, the Tesla Model S with a 300 mile maximum driving range, but at a luxury car price. 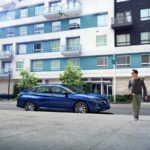 The Coda Sedan, Nissan Leaf, Chevy Volt, Ford Focus Electric and perhaps the Mitsubishi i-Miev are all in roughly the same “class” of car: Family sedans. (Note: the i-Miev is a Compact sedan) Of those cars, the Coda electric car has the longest driving range. The EPA rated ranges are: Coda, 88 miles; Ford Focus Electric, 76 miles; Nissan Leaf, 73 miles; Mitsubishi i-Miev, 62 miles. The Chevy Volt has a 35 mile electric driving range, but with a gasoline engine/generator providing up to 310 miles of gasoline range. What makes the difference is the Coda battery pack, at 31 kilowatt-hours, is a lot bigger than the others. The Nissan Leaf and Ford Focus Electric packs are 24 kilowatt-hours apiece, the i-Miev is 16 kilowatt-hours, and the 300 mile Tesla Model S has an 85 kilowatt-hour pack. 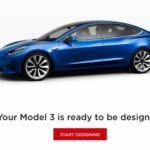 The 300 mile electric car is possible today, simply by installing a large enough battery pack to provide the power, but the cost puts the Model S out of range for most people. What Coda has done is deliver a car with a larger battery pack, at about the same price as the Leaf and Focus Electric. GM has taken a different approach to total driving range, and rather than depend on the battery pack it built in a gasoline engine/generator to extend the range. Talking about driving range per dollar, how do the cars stack up? The i-Miev SE model, with an MRSP $31,125, is $502 per mile of driving range, and for the ES model with an MRSP of $29,125 it is $469/mile of range. 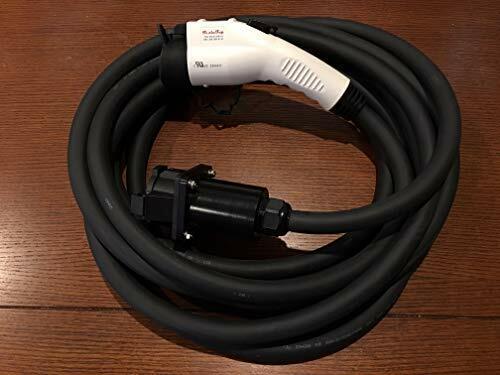 The SE model includes the CHADEMO fast charge port, however, enabling 30 minute quick charges as a way to extend driving range. The Nissan Leaf SV, MSRP of $35,200, costs $482 per mile of range, while the SL model, MRSP of $37,250, costs $510 per mile. 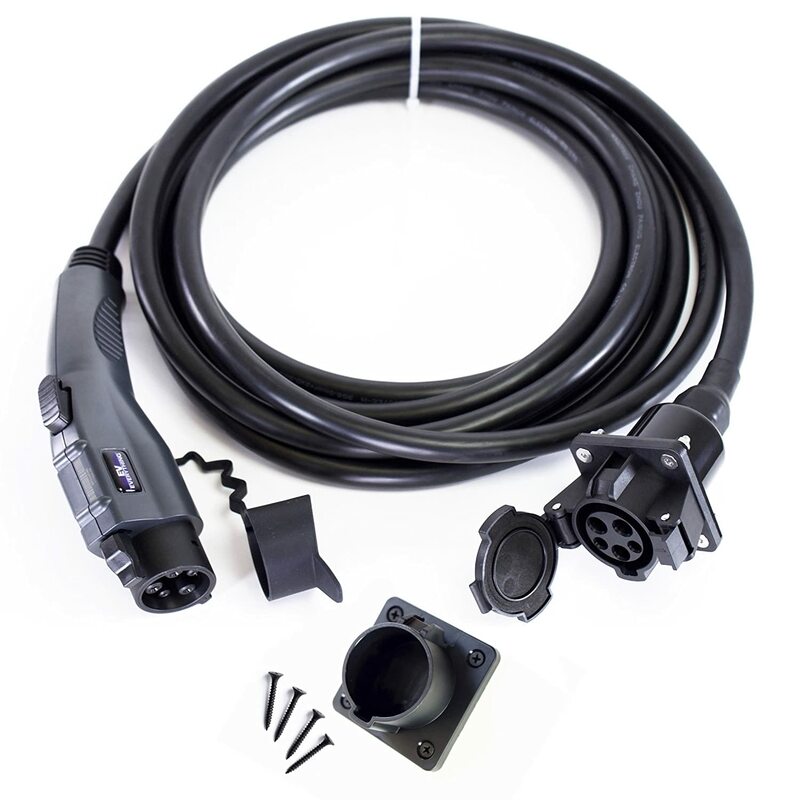 The SL model also comes with a CHADEMO fast charge port for 30 minute recharges. The 31 kilowatt-hour Coda, MRSP of $37,500, costs $426 per mile of range. 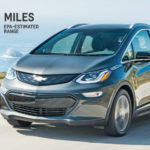 The Chevy Volt, MRSP of $39,145, costs $1,127 per mile of range, but of course this is skewed by the gasoline engine which gives a cost per mile of total range of $114. The Ford Focus Electric, MRSP of $39,200, costs $515 per mile of range. 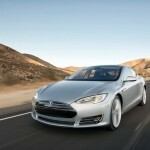 The 300 mile Tesla Model S, MRSP of $77,400, costs $258 per mile of range. One of the distinguishing factors already mentioned is fast recharging. The higher the charge rate, the further you can travel per day. 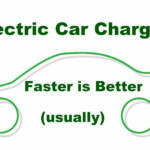 The i-Miev and Leaf both have a 3.3 kilowatt charger giving 12 miles or so of range per hour of charging. Both can have a CHADEMO fast charger giving an 80% charge within 30 minutes. The Chevy Volt also has a 3.3 kilowatt charger, but its gasoline engine/generator recharges the battery pack while driving by burning gasoline. The Coda electric car, and the Focus Electric both have a 6.6 kilowatt charger for a faster base charge rate, but neither have an option for a fast charger. The Tesla Model S comes with either a 10 or 20 kilowatt charger, using Tesla’s proprietary non-standard charge port, and giving either 31 or 62 miles per hour of charging. 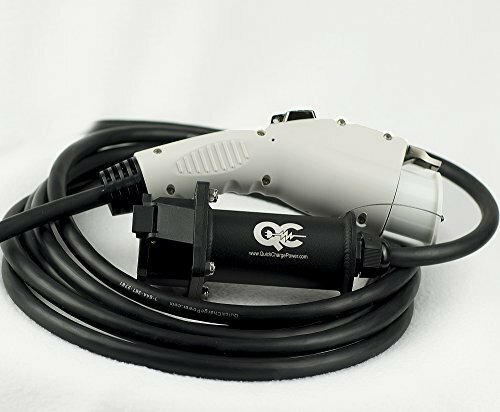 The car comes with an adapter to use standard J1772 charging stations. What Coda means by “Dependable Range” is whether the car delivers its rated range in all weather conditions. Cold weather diminishes battery capacity, as anybody who’s had to get a jump start on a cold morning can verify. The Coda electric car includes an active thermal management system to warm, or cool, the battery pack depending on ambient conditions. The i-Miev has an optional Cold Zone Package to warm cold battery packs, and the Nissan Leaf can condition the pack while charging to warm it up. Coda’s last point, “Super battery technology,” really depends on how you slice it. Coda uses Lithium Iron Phosphate batteries, known to be highly safe and have great longevity, but at the cost of energy density. The other manufacturers are using other battery chemistries and no doubt feel their choice is the best. The tradeoff’s are battery longevity (number of charge cycles), power density (the kilowatts the battery can deliver), energy density (the kilowatt-hours the manufacturer can squeeze into the car) and cost. The biggest concern is the number of recharge cycles a battery pack can support, because of the battery pack replacement cost. If the pack were to NOT last for the lifetime of the car, one could end up with a good condition car and a bad battery pack, and paying many thousands of dollars to replace the pack. As we can see Coda’s electric car compares favorably on all counts. 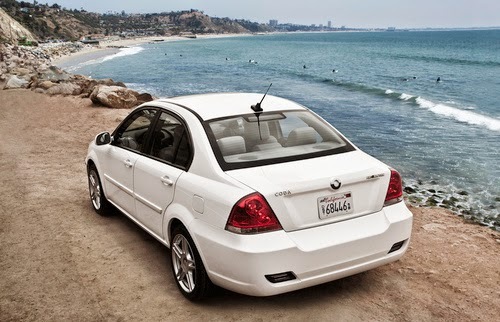 It offers good range, and a good cost per mile of driving range, for its class of car. While the Tesla Model S has some advantages, the cost out the dealer showroom door is above $80,000. Coda’s price puts it within reach of a much larger segment of people. The Chevy Volt offers an interesting tradeoff in a different direction, because the gasoline generator is a pragmatic choice letting the Volt owner ignore range limitations through burning fossil fuels. A finally tradeoff is the choice between a relatively unknown startup, and a major automaker. Nissan, Mitsubishi, GM and Ford all have decades of auto-making experience, while Coda and Tesla are the newcomers. Newcomers can arrive with fresh ideas, but the incumbents all know a thing or two about the automobile business.